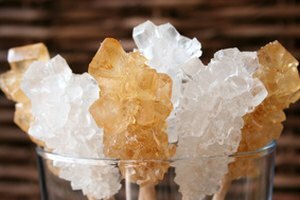 A perennial favorite in both science labs and home kitchens, a rock candy experiment offers a fascinating glimpse into the world of sugar crystal formation. 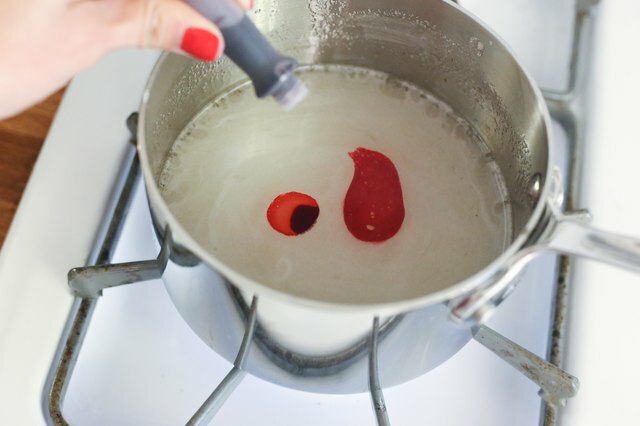 The classic process involves mixing sugar and water in a jar, then dangling a string into it. 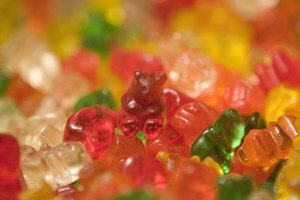 After about a week, it results in a sugary hard candy treat. By tweaking the process slightly, you can reduce the time it takes to deliver your sweet reward. 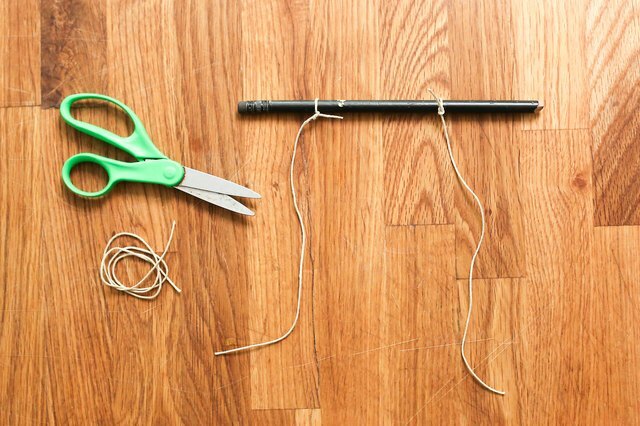 Cut string into 6-inch lengths and tie one or two to each pencil. 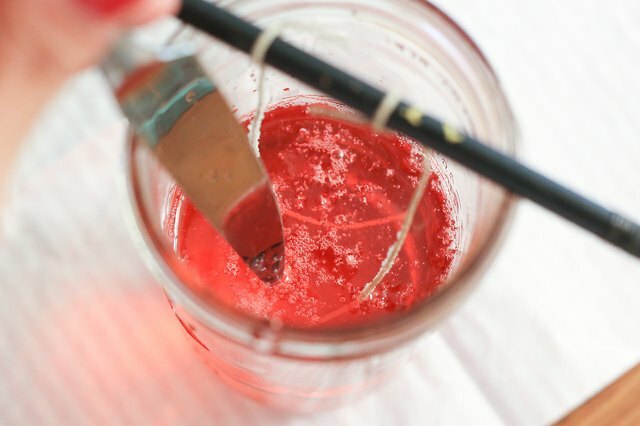 The fewer strings you use per pencil, the more quickly the rock candy forms. 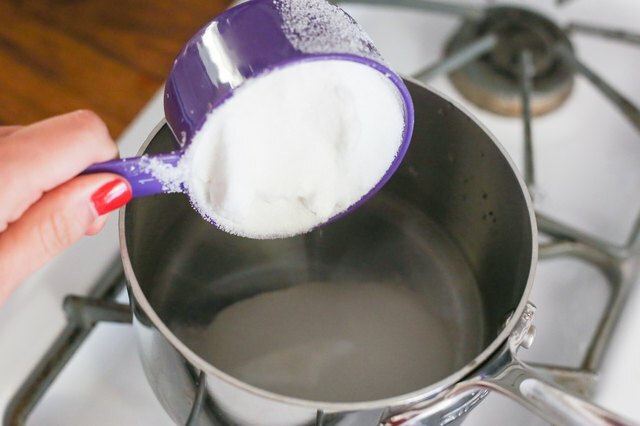 Boil 1 cup of water for every 2 to 4 cups of sugar. 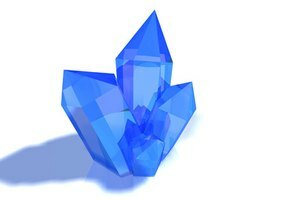 Use more sugar for faster crystal formation. 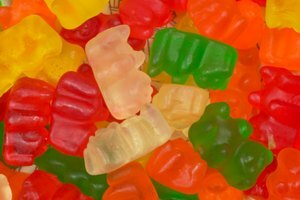 Increase the amount of water and sugar at the same ratio to make more candy. Add the sugar 1 cup at a time. Stir vigorously until the sugar dissolves. High heat and vigorous stirring encourage the large crystals needed for faster rock candy formation. Drizzle in the optional few drops of food coloring now. Stir it until it combines with the sugar syrup. Take the pot off the stove and let the syrup cool for about 5 minutes. Set out containers or jars just slightly deeper than the length of string. 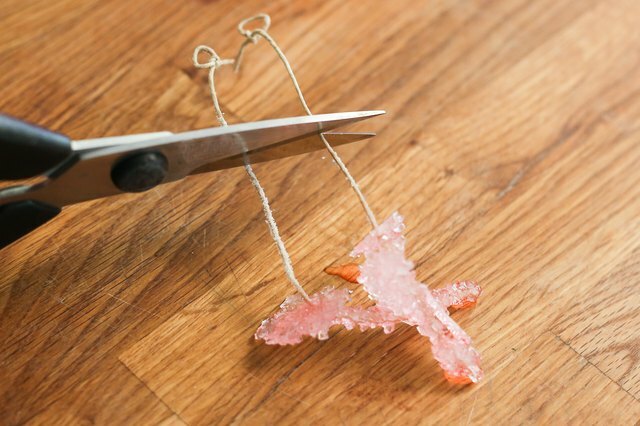 The more containers you use, the more room you give the rock candy to form quickly on the strings. 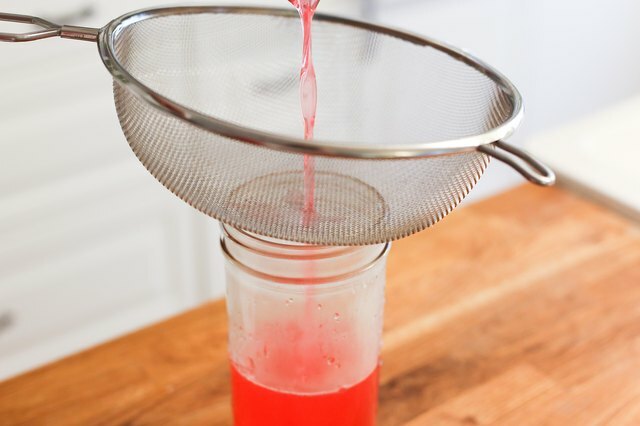 Pour syrup through a strainer into the first jar to about one-third or halfway full. 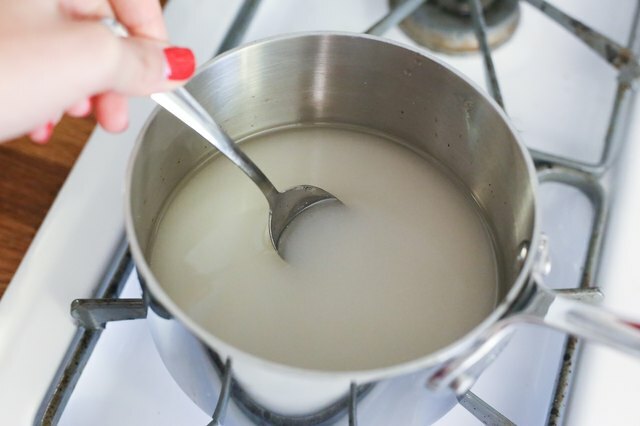 Strain to catch any clumps in the syrup that could attract crystals to the bottom of the bowl as they settle, rather than on the candy string. Wet the strings and drag them through granulated sugar spread on a plate. This step jump-starts the crystallization. 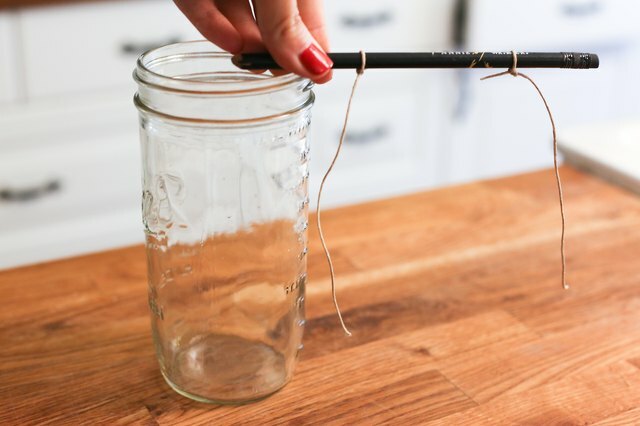 Lay each pencil across the width of the container, so that the strings dangle into it. 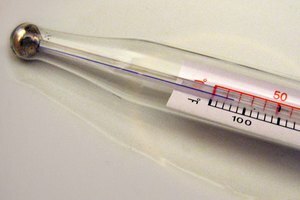 The strings should not touch the bottom of the jar or each other. 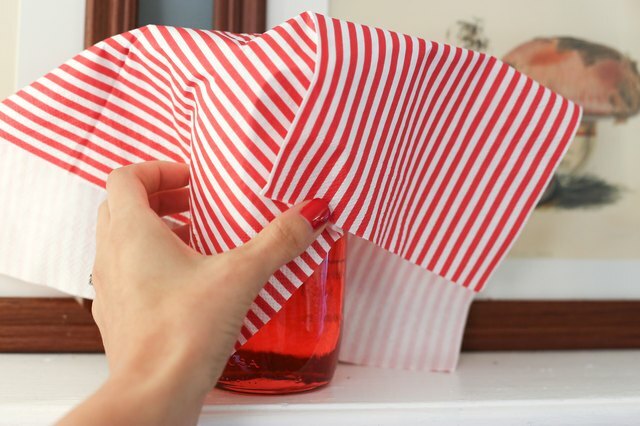 Cover each container loosely with a paper towel. Allow good air circulation for swift crystal formation, which requires evaporation. Set the bowls in the driest part of your house. 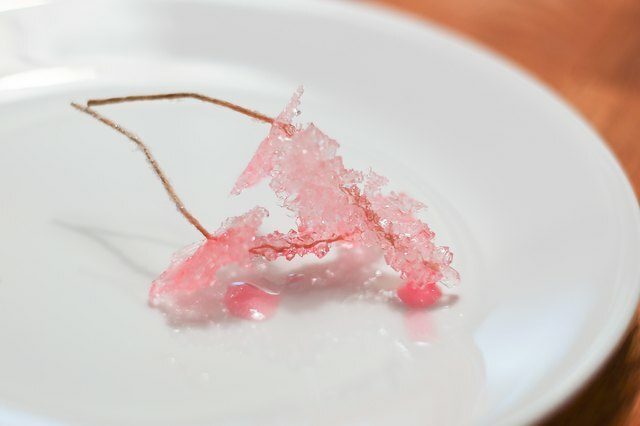 The less humidity, the more quickly the water evaporates and the rock candy grows. 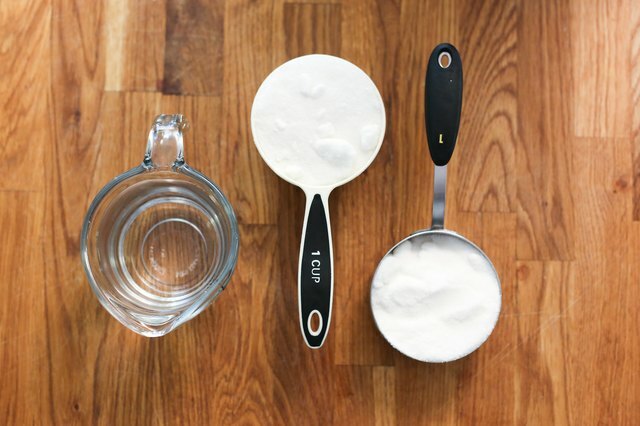 Knock down any sugary "skin" that forms along the top of the container. This hardened syrup, once reintroduced into the bowl, speeds the formation of the crystals on the strings themselves. Pull the strings from the pencils once the candy reaches a size you like. 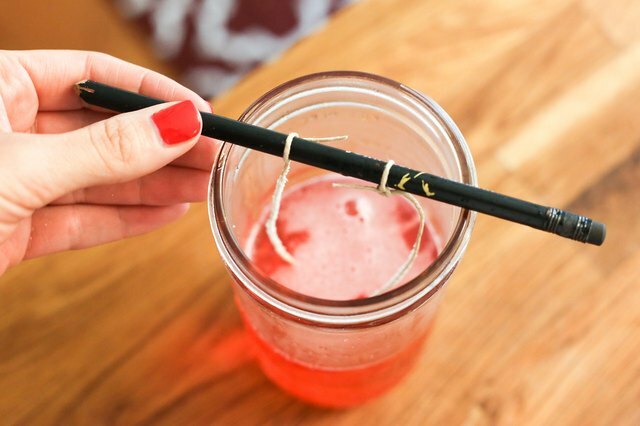 Snip the string on both ends for a more stick-like presentation. 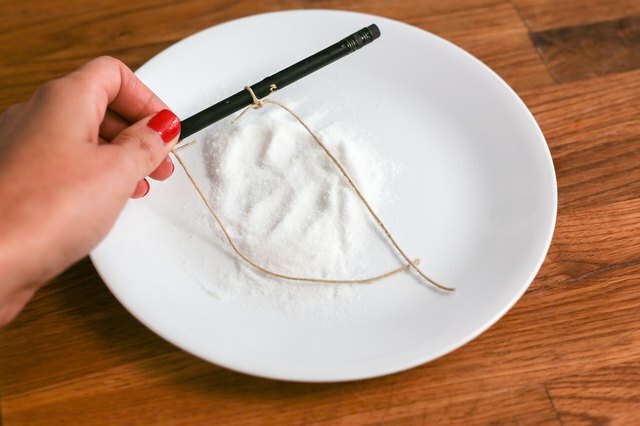 For a more elegant presentation, use wooden skewers instead of string. Alternatively, select clean, decorative ribbons to form the base of candy-coated jewelery. 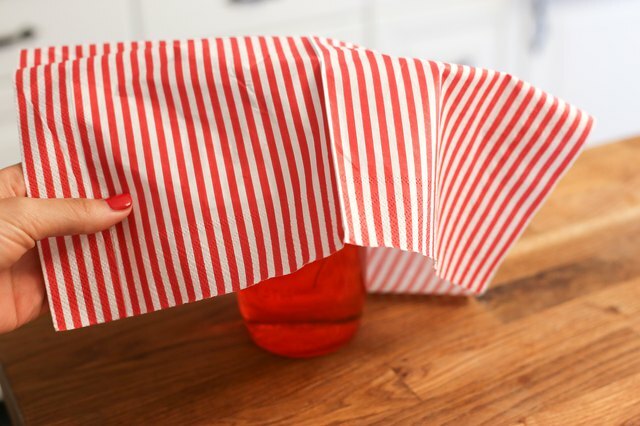 Wear long sleeves when you boil the sugary syrup, and use a potholder to move the pot and pour from it. Even after its 5-minute cooling period, the sugary syrup remains hot. 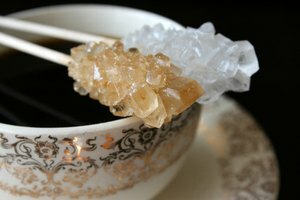 How do I Make Large Rock Candy?